This easy smoothie recipe is my go-to drink while I’m driving into work in the morning. 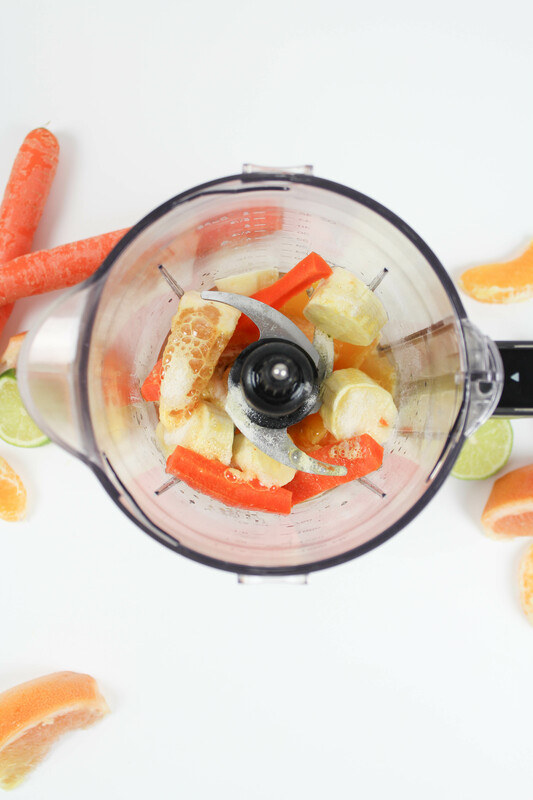 Besides the fresh fruit and veggies that I add to my blender, I have a sneaky little ingredient that I use to get some added vitamins and minerals in there, too. What’s my trick? 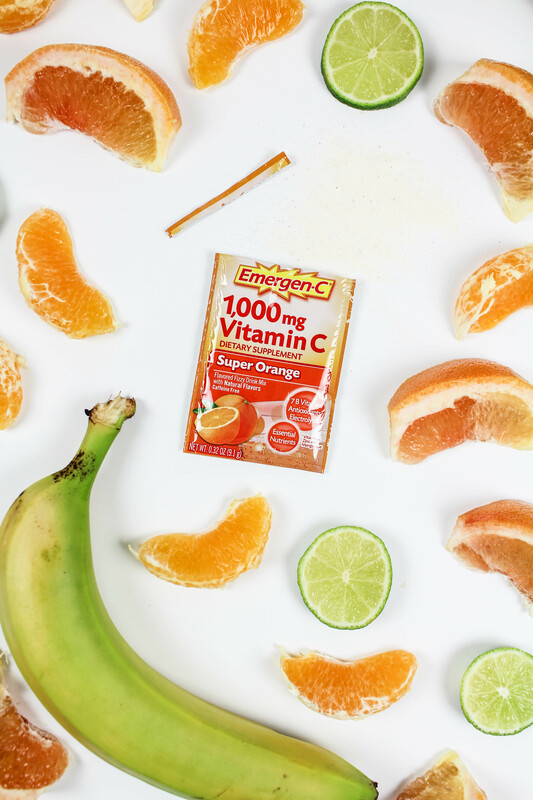 Adding Emergen-C® Super Orange! 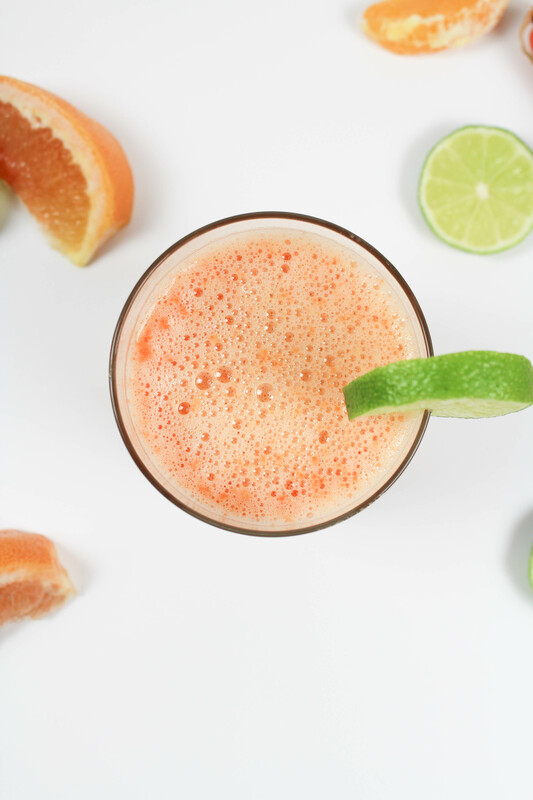 It’s packed with Vitamin C, plus other key antioxidants such as zinc and manganese, to support your immune system, along with B Vitamins to enhance energy naturally. 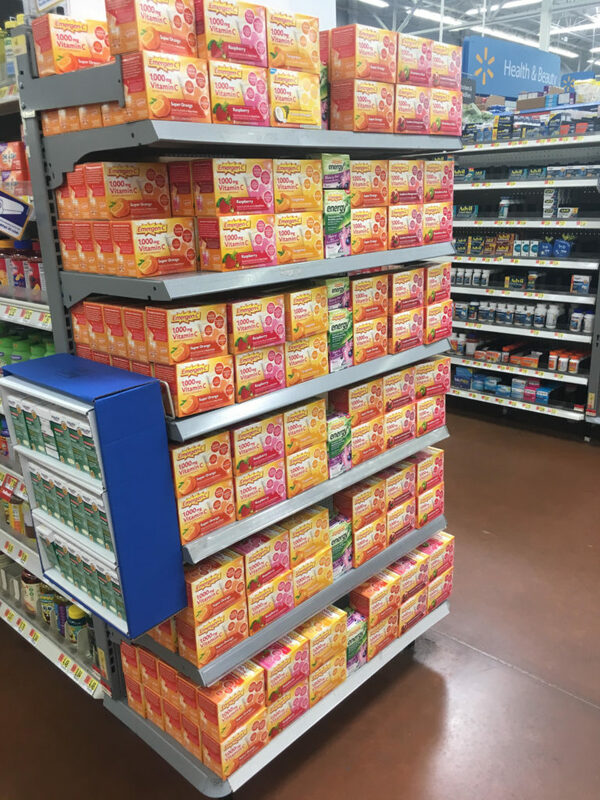 * Emergen-C dietary supplements are the delicious way to start your day! 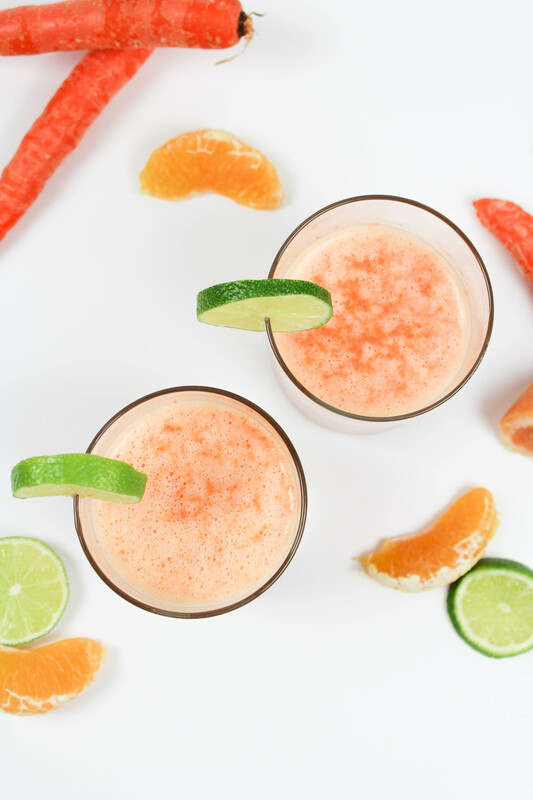 I stick with the original Emergen-C® Super Orange packets for this citrus carrot smoothie, but with over 20 flavors and a variety of special formulas, it is easy to support your wellness goals, whatever they might be! From feeling good each day, to getting additional vitamins and minerals for immune support*, or sipping your way through key electrolytes, as well as energy to focus your mind and revitalize your body*, there is an Emergen-C® that will allow you to burst forth and Feel the Good Everyday! I grabbed mine from Walmart in the pharmacy department, but you can shop from the comfort of your own home, too! Hover over the photo above to purchase the exact same products that I picked up! I’m excited to try the Emergen-C® Energy+ Blueberry Acai that gets its natural caffeine from green tea* Emergen-C® Energy+, available in bold-flavored Blueberry-Açai, powder-packed Lemon-Lime, and fruit-y Mango-Peach, is flavored with natural, real fruit flavors. It’s also gluten free! But let’s get back to the recipe! Not only is this citrus carrot smoothie full of healthy benefits, but it’s also delicious, too! 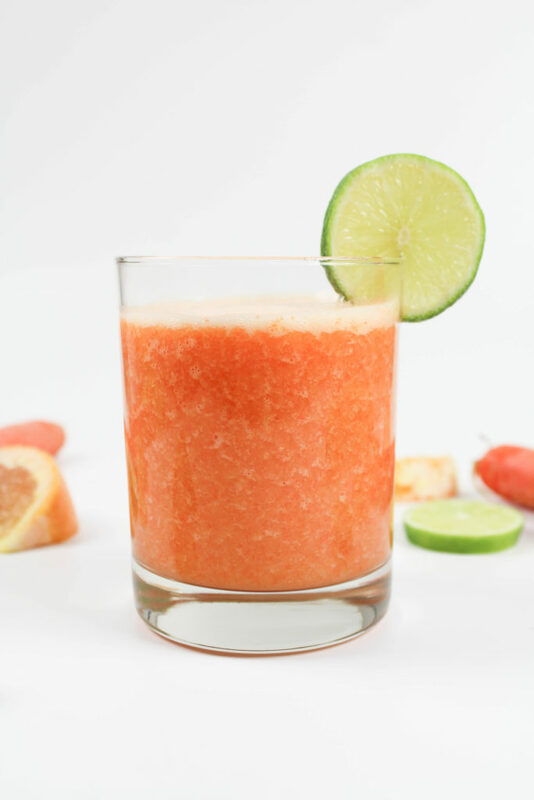 I like my smoothie a little more tart, so I use fresh grapefruit and orange. You could also add pineapple or mango, too, if you want more of a tropical flavor! 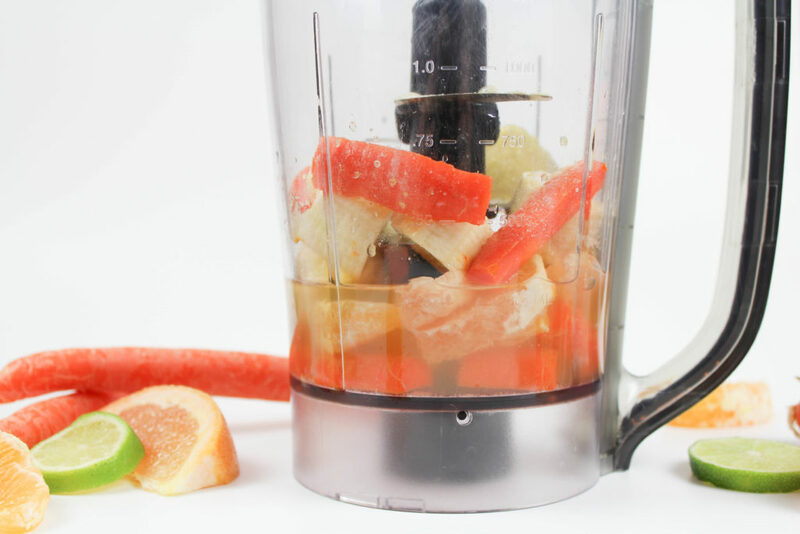 Add the fruit, carrot, lime juice, water, and Emergen-C Super Orange packet to a blender. Blend on high, until smooth. If you want to add a little more sweetness to your smoothie, add honey to taste, although I think it’s definitely sweet enough on its own!